Lifting equipment makes it easier for industrial companies to plan projects and keep things on schedule. The equipment is also important to use in complying with safety guidelines and laws. In fact, the use of a hoist itself is considered the most essential part used in overhead crane technology. That is because the hoist is a primary component that performs both the lifting and lowering of loads. 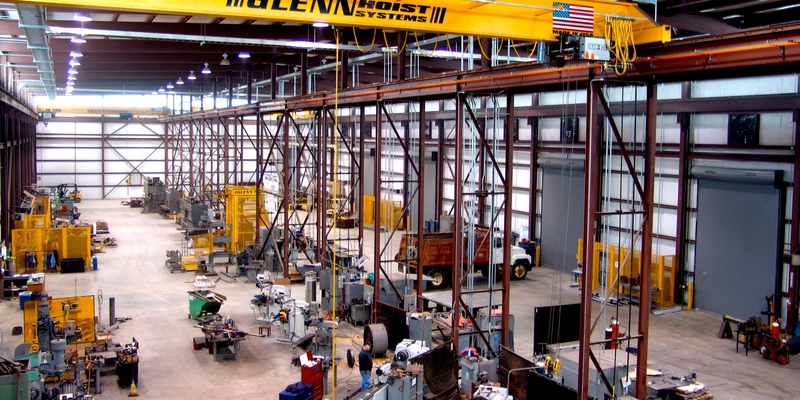 When an overhead crane’s hoist is used, the equipment lifts and lowers loads by using a lift-wheel or drum. Therefore, a hoist is normally defined by two primary attributes: the lifting medium used to support the load and the power source. Sources of power may include manual, electric, or air support. Hoists come in various designs, depending on the lifting medium that is used and the power source that is employed to operate the hoist. The mounting system is also considered in a hoist’s design. An air hoist, when used in crane operations, may also be referred to as a pneumatic hoist. A pneumatic hoist uses a piston-driven or rotary motor that is fuelled by compressed air. The air circulates through the system, cooling the hoist as it is operating. As a result, an air host can operate on a continual basis without the concern of overheating. This factor makes using a pneumatic hoist advantageous when compared to using an electrically-powered hoist. As a result, pneumatic hoists are often recommended in heavy production or industrial environments. They also perform well in high-speed venues where the work is continually starting and stopping. In addition, air hoists have a high lifting ability of up to 100 tonnes at one time. They are not affected by settings where there is a good deal of heat. That is why air hoists are often employed in explosion-proof settings and can be designed to resist sparks by using either stainless or brass parts. The hoist itself is deemed only as good as the quality of the airflow, air, or pressure it receives. These elements must be considered when rating system performance and capacity. With respect to lifting, air chain hoists often do well in places where safety is a major concern. Because the compressed air will not generate sparks, this type of hoist is often used in hazardous work locations. Air chain hosts permit various speed controls as well as accurate load spotting where the items that are lifted are heavy and are placed as a part of the warehouse or production operations. Air wire rope hoists are used as well and provide both productivity and strength for lifting or positioning loads. The rope hoists are featured in a broad range of lifts and capacities to suit spark-resistant, industrial, or hazard applications in industrial and warehousing facilities. Make Way For Direct Debit Bacs Services!